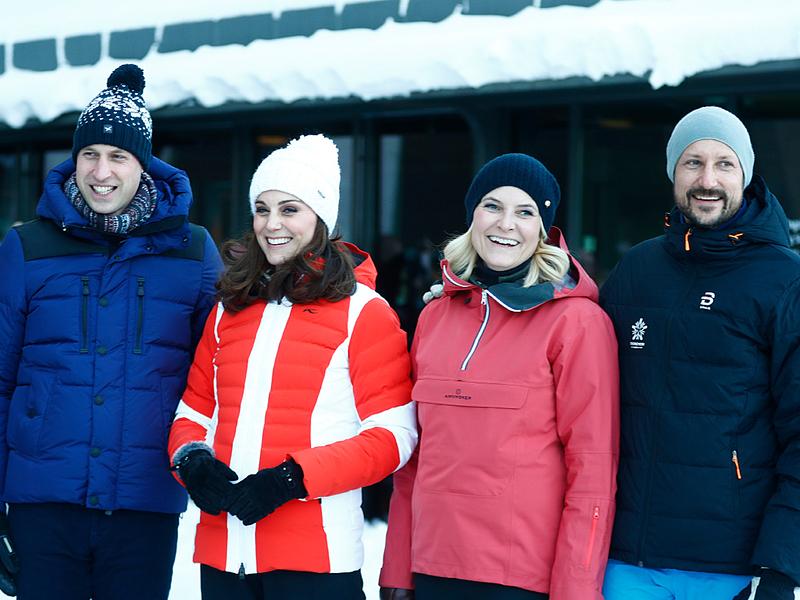 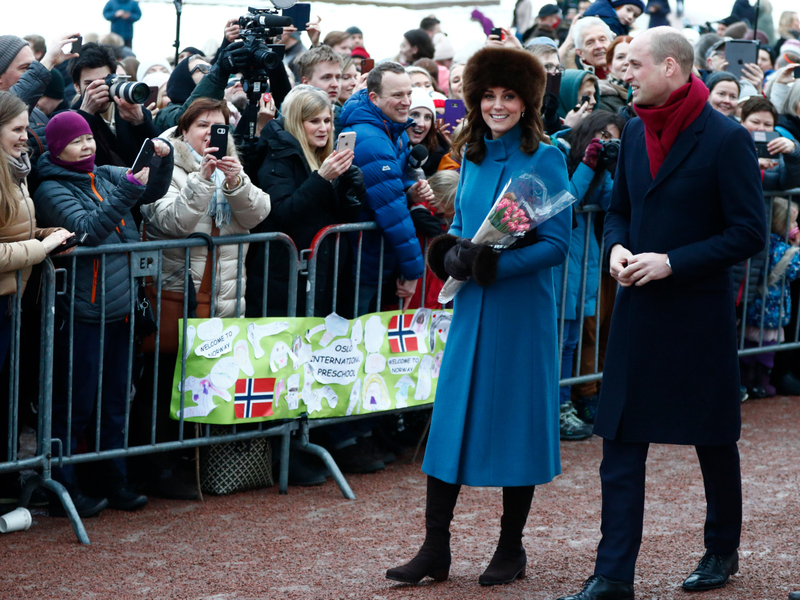 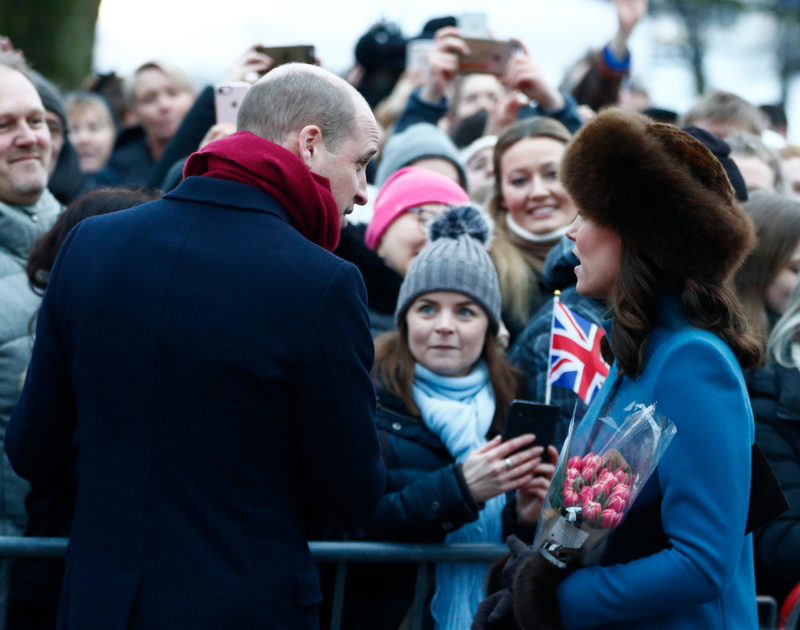 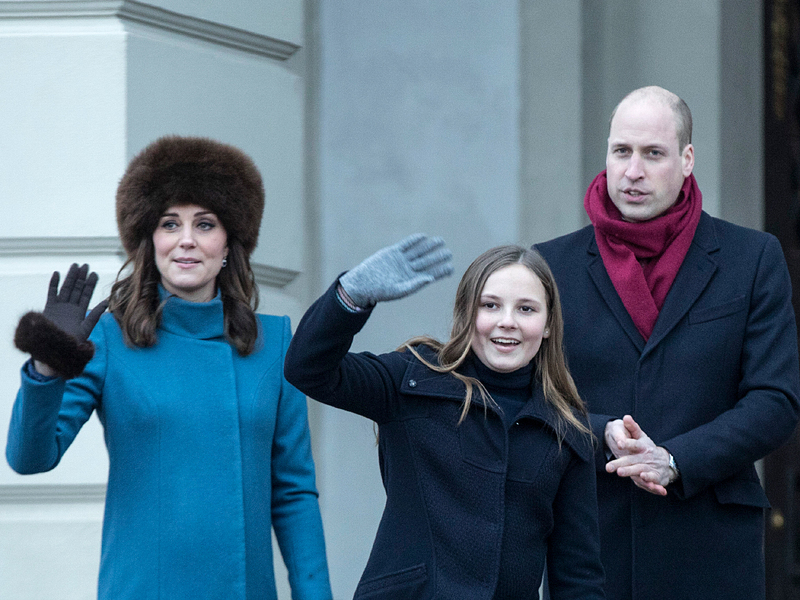 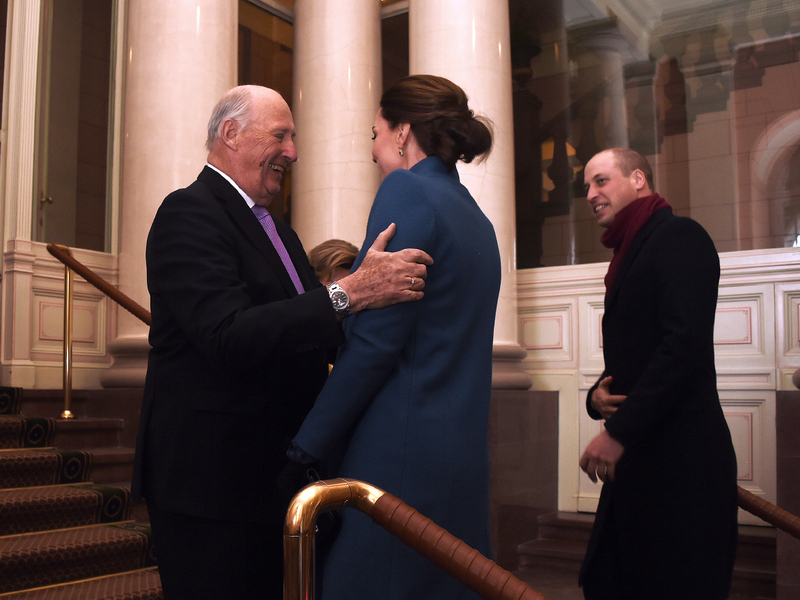 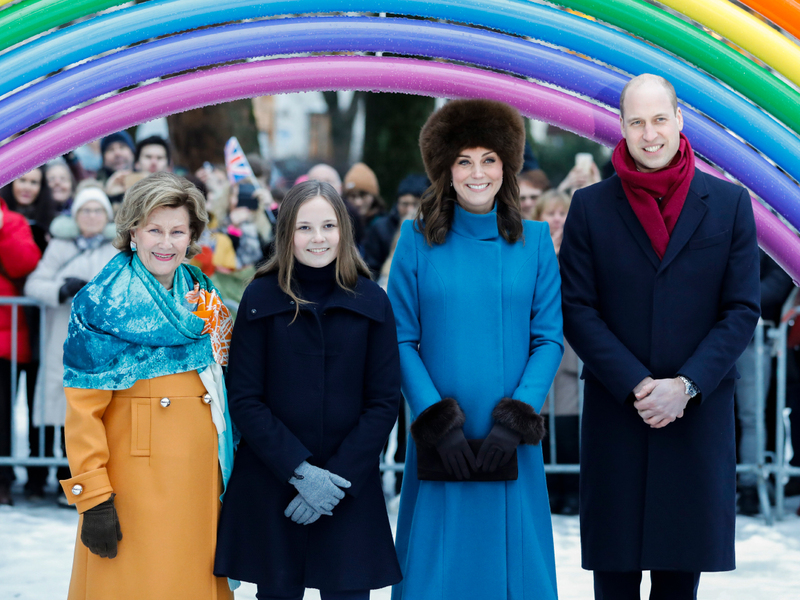 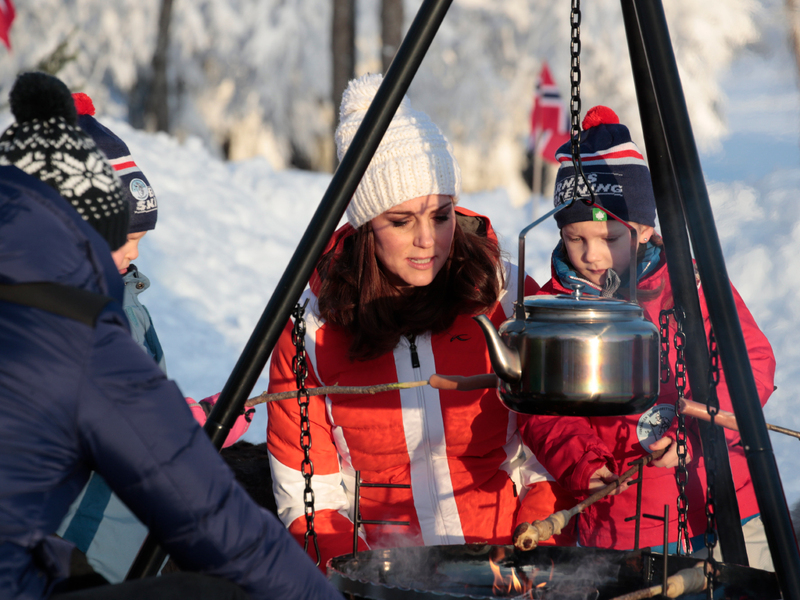 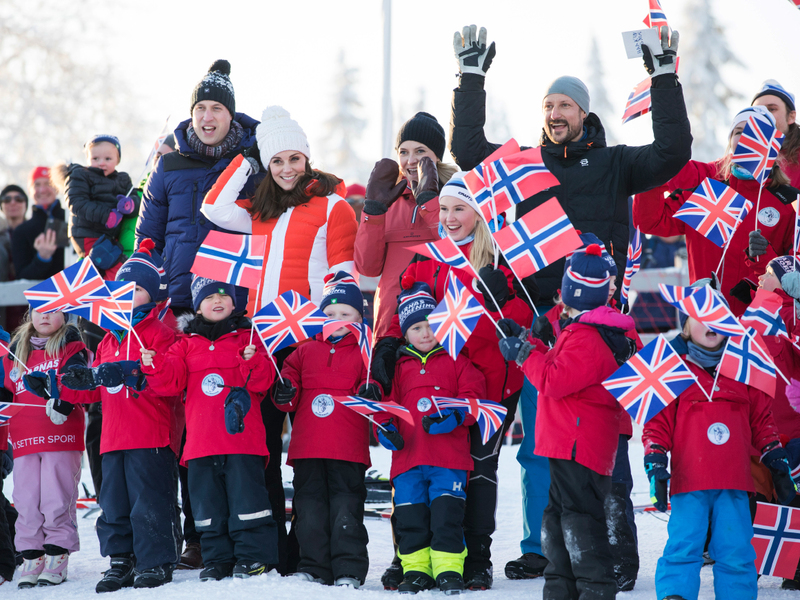 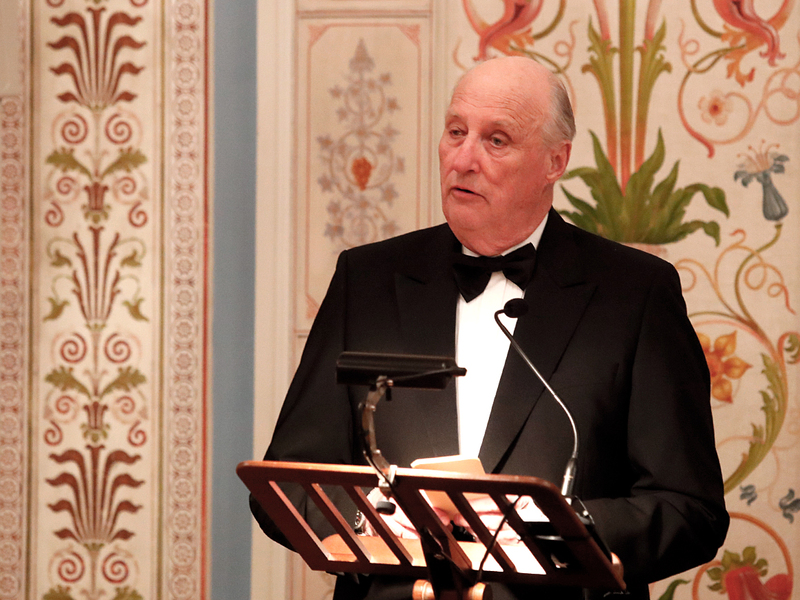 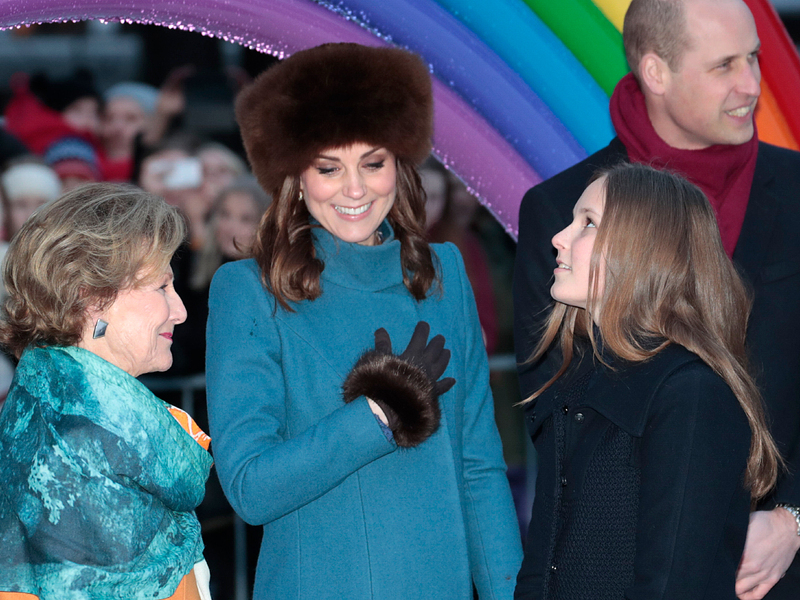 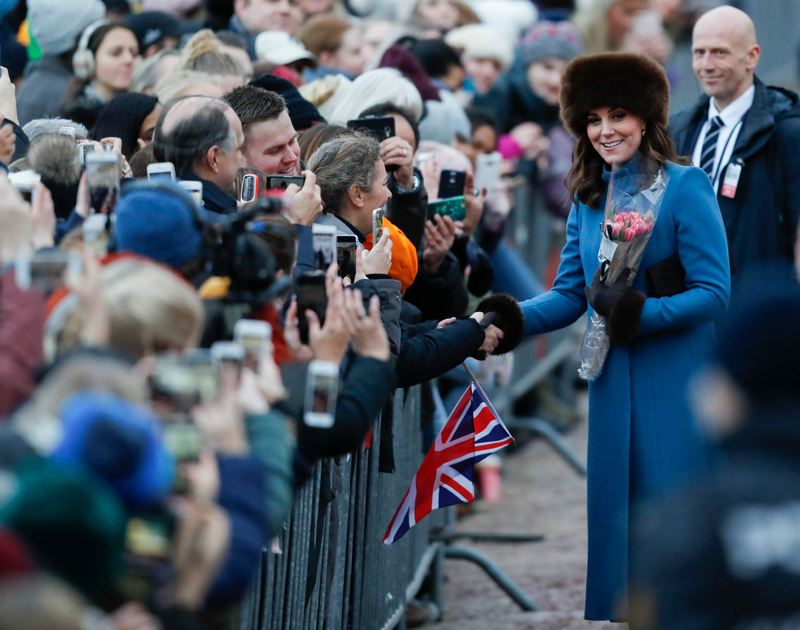 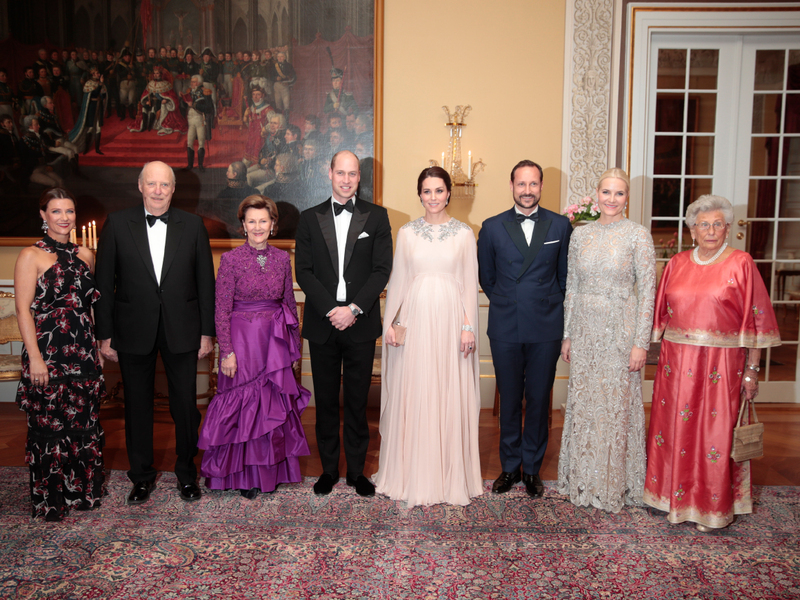 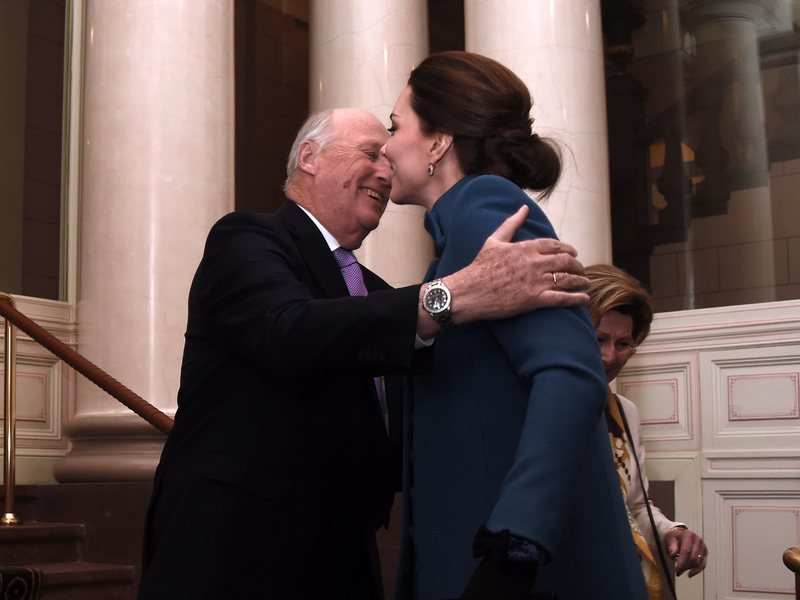 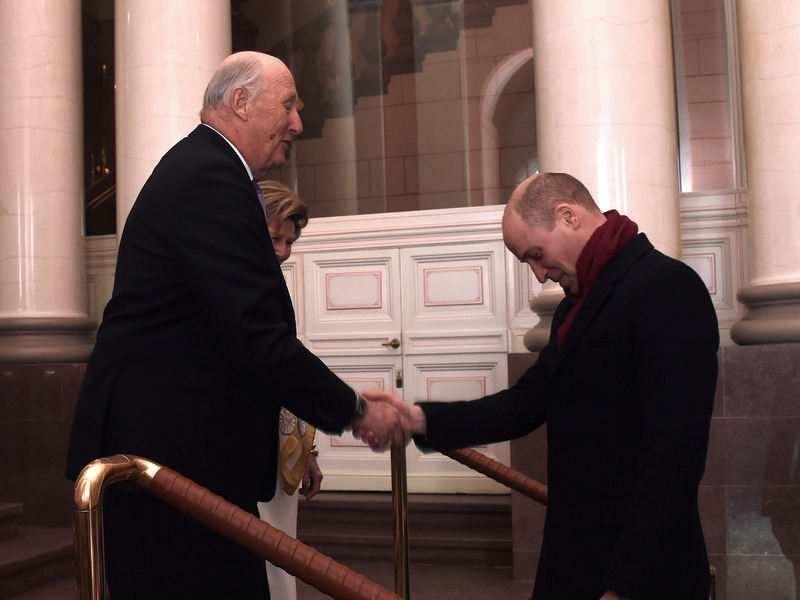 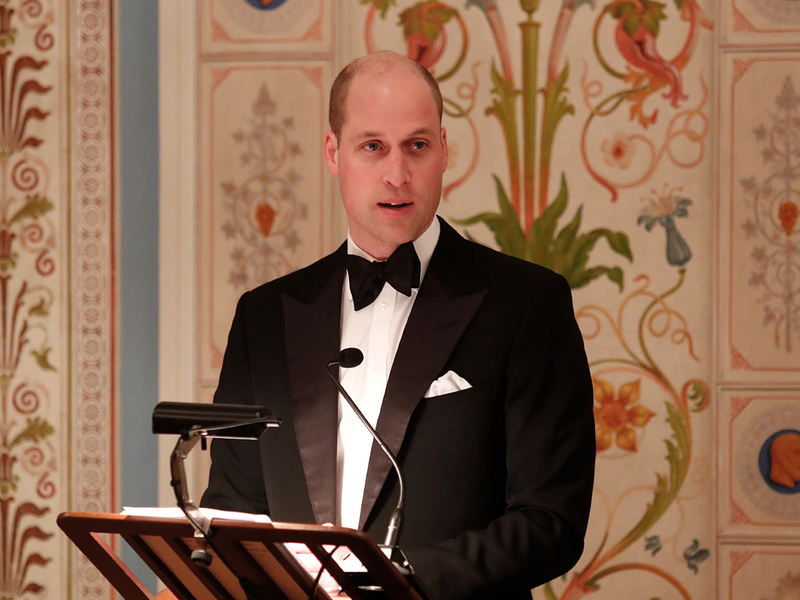 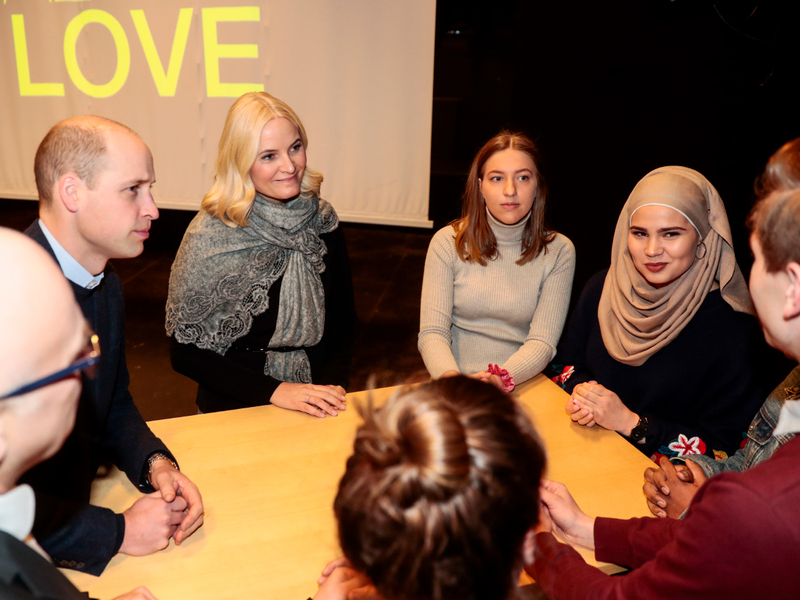 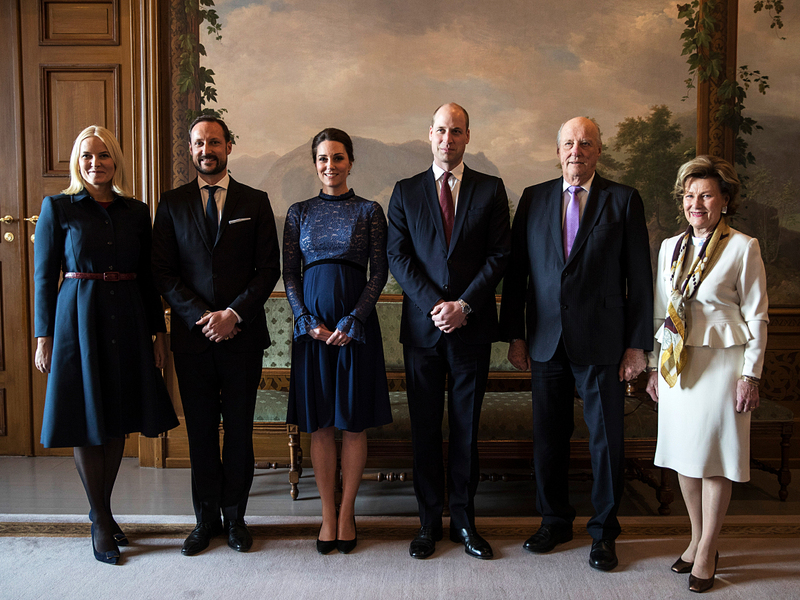 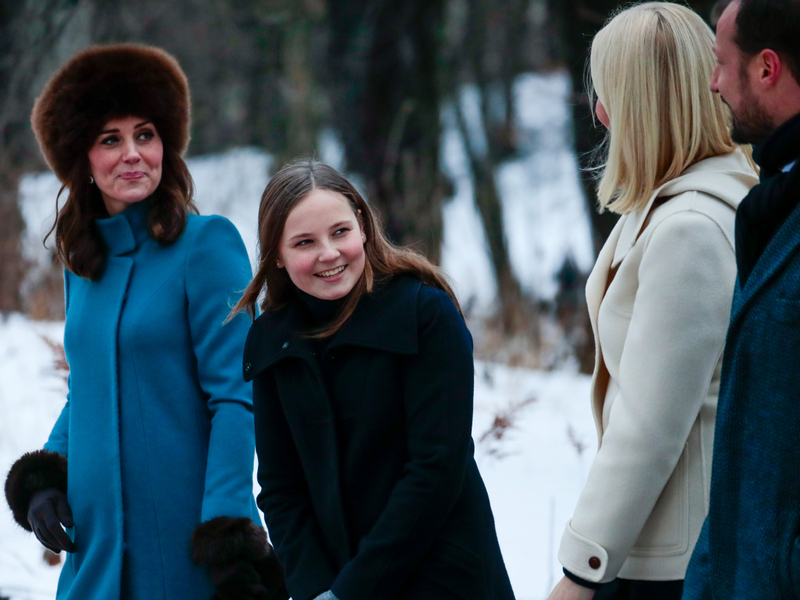 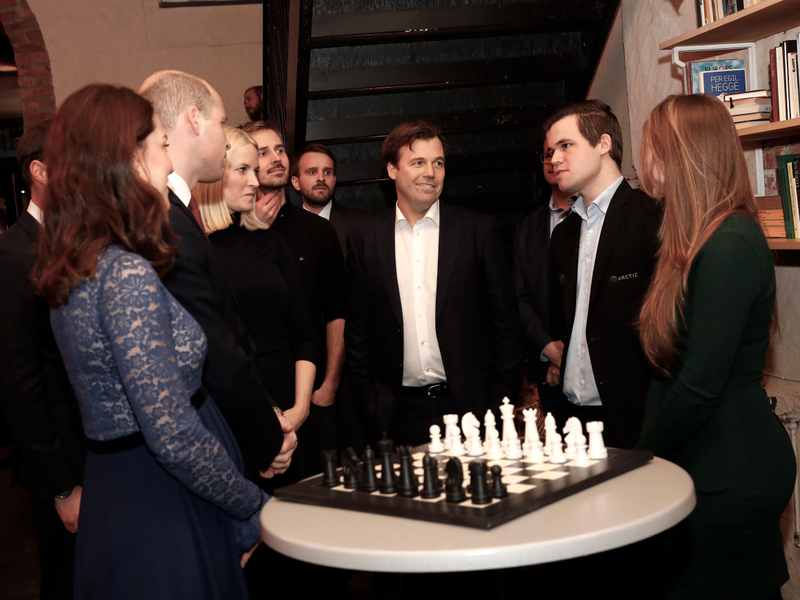 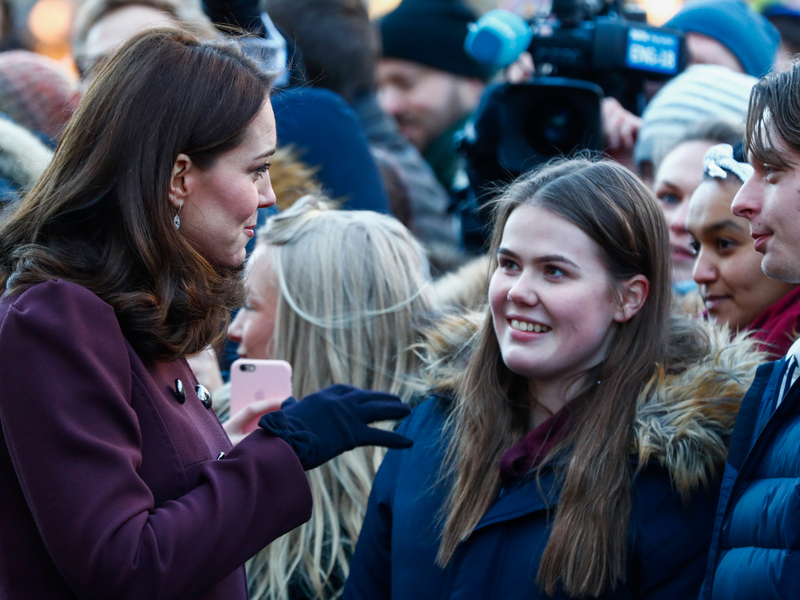 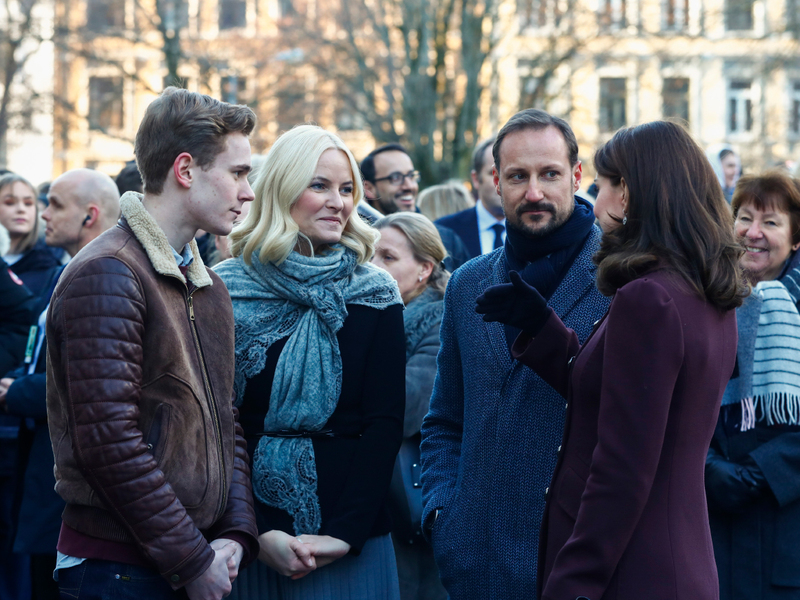 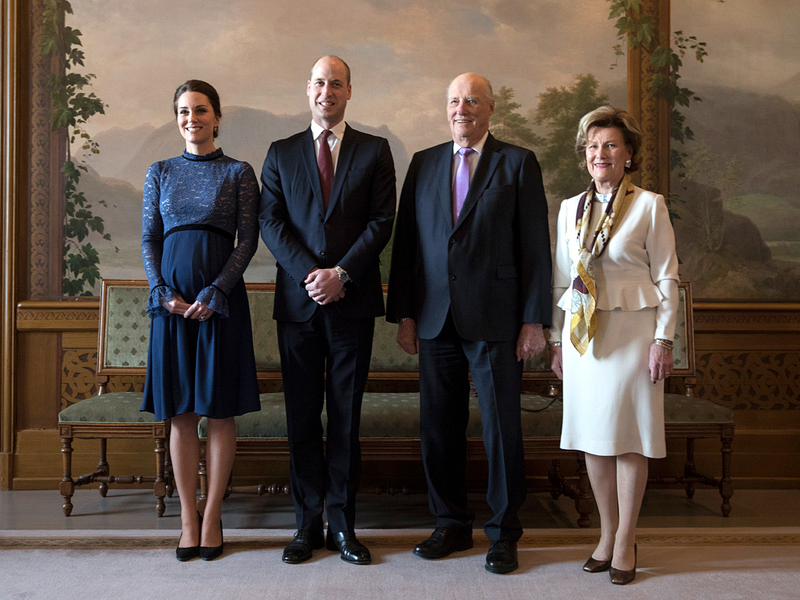 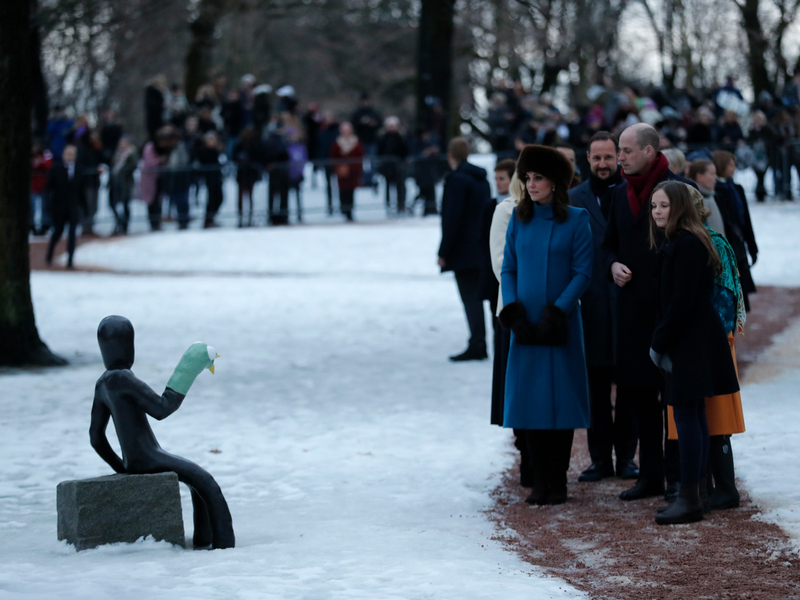 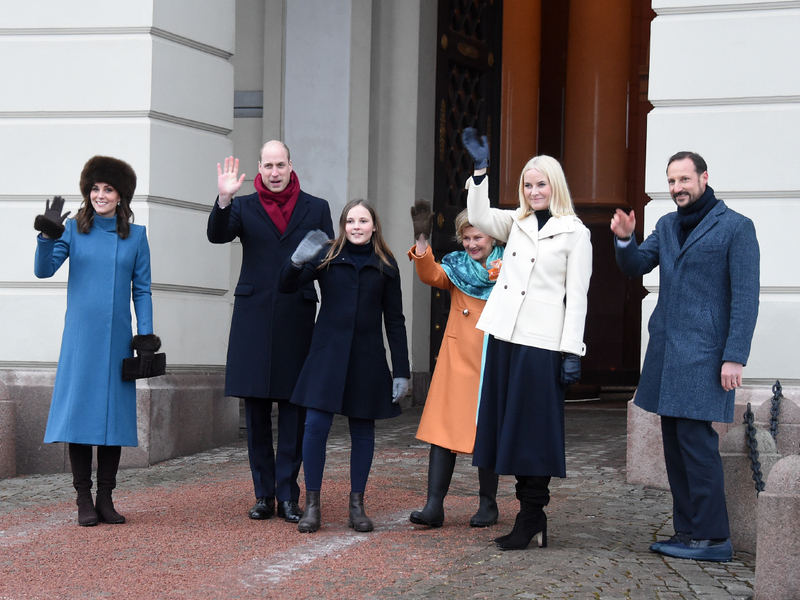 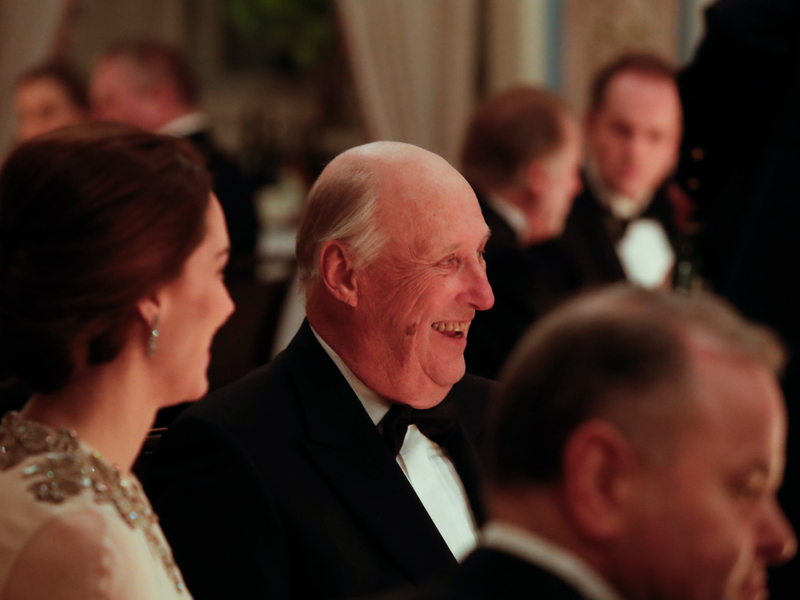 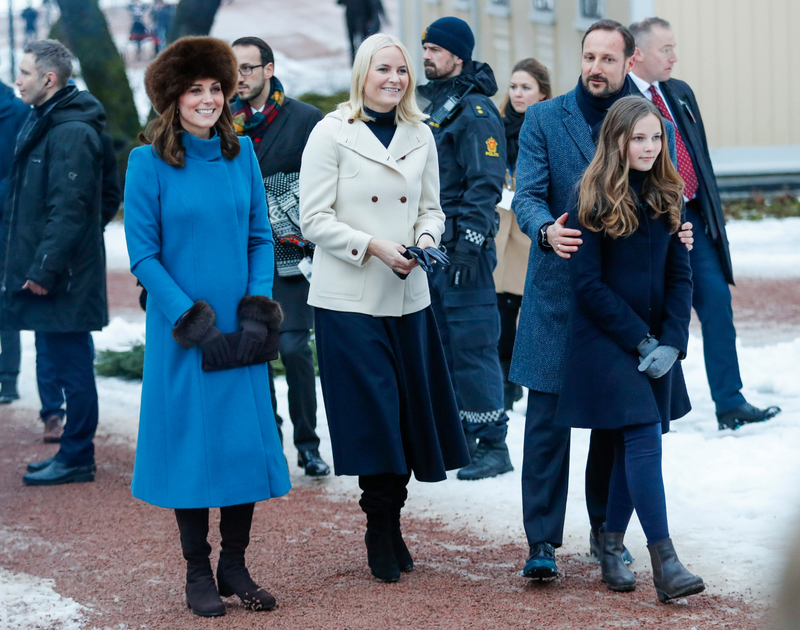 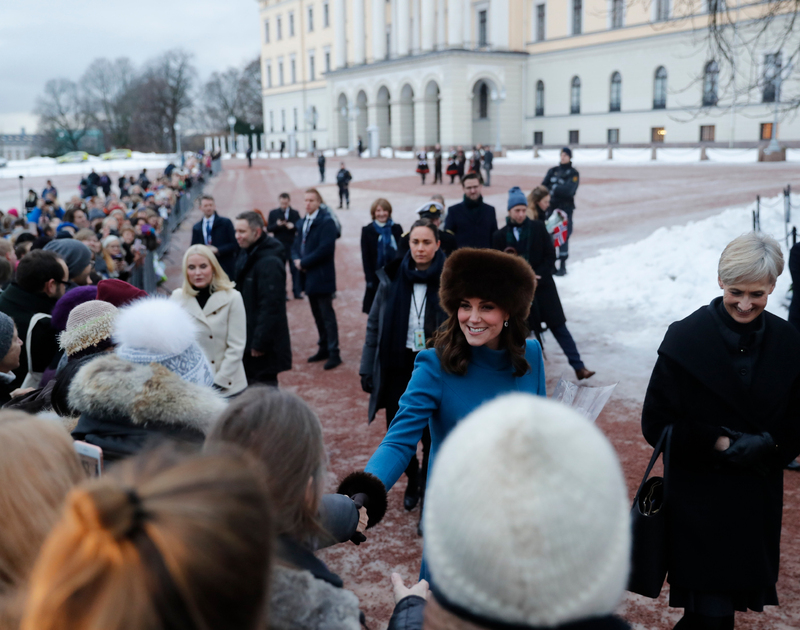 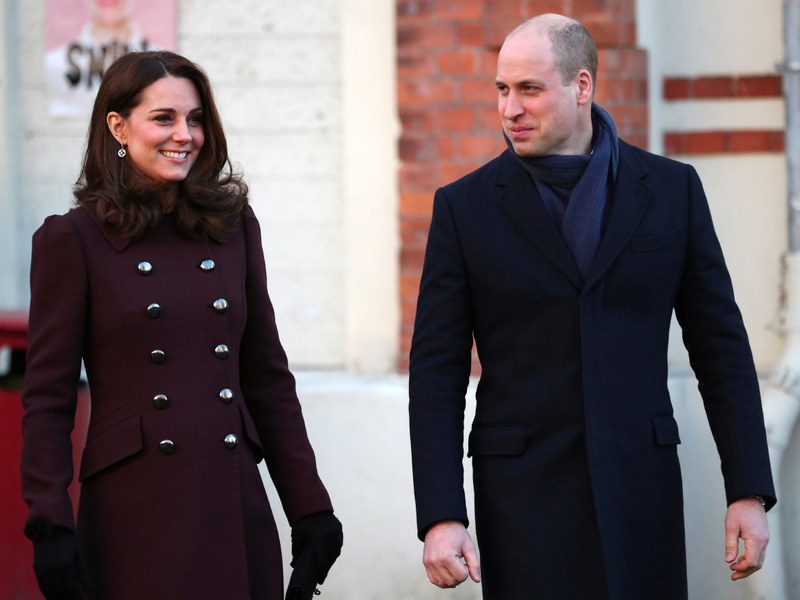 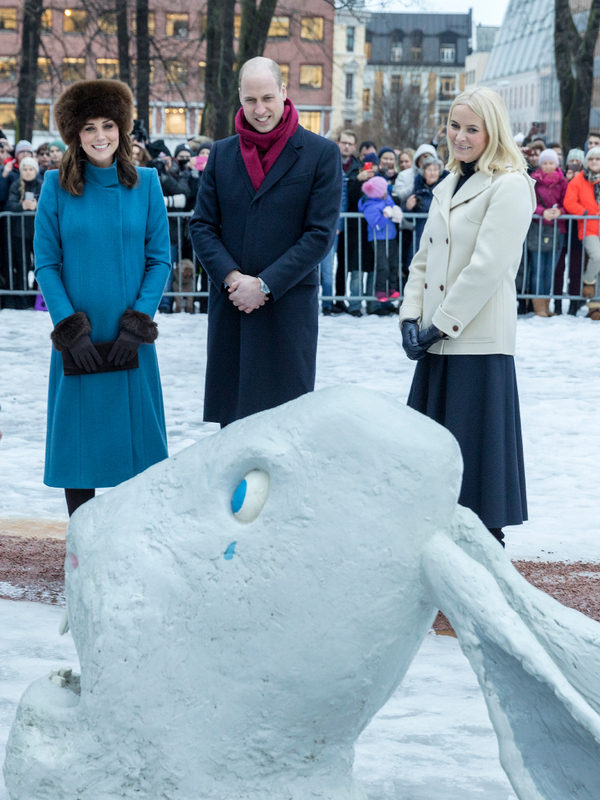 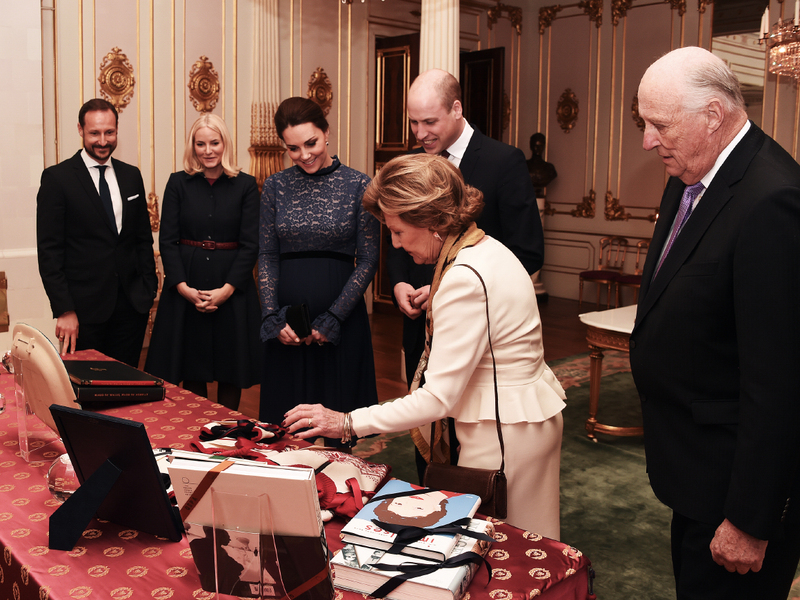 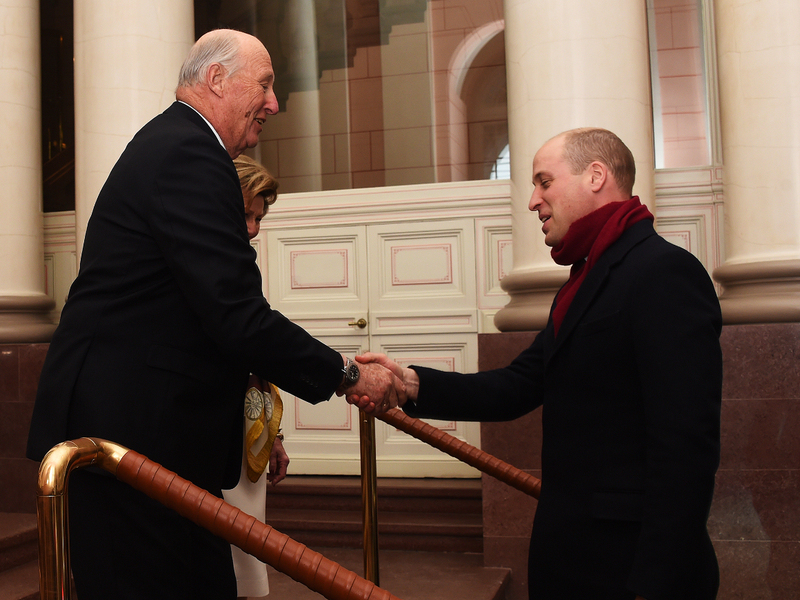 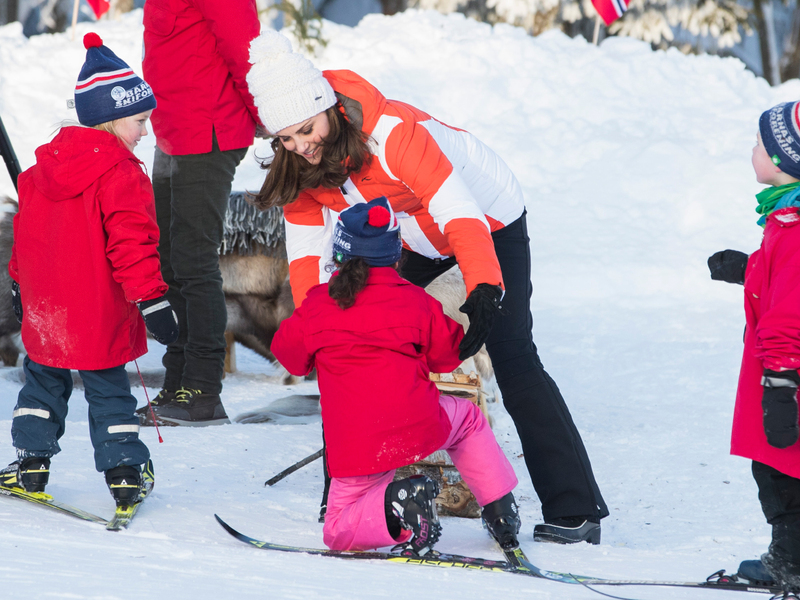 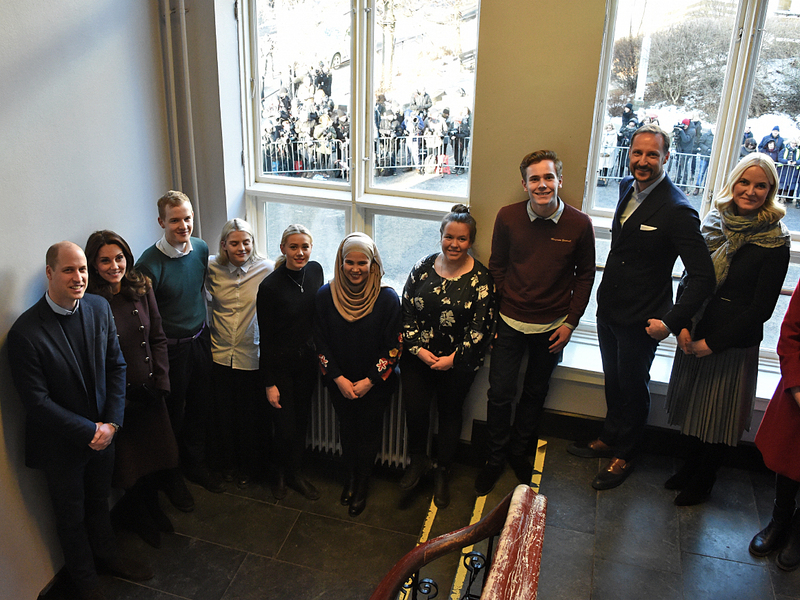 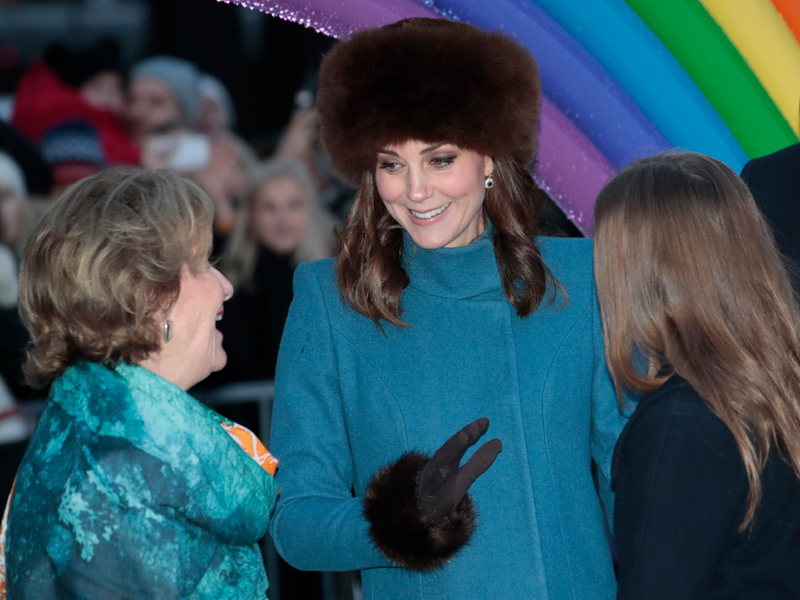 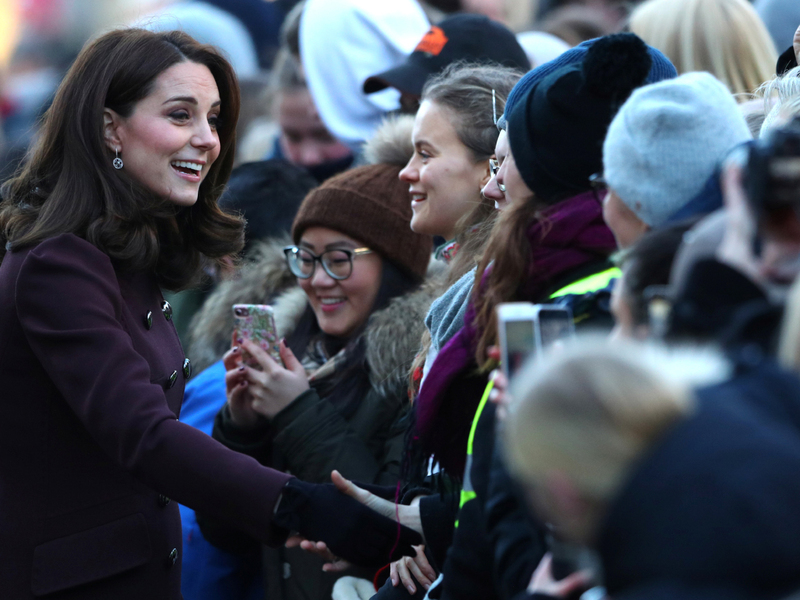 Their Royal Highnesses The Duke and Duchess of Cambridge are on an official visit to Norway 1 and 2 February. 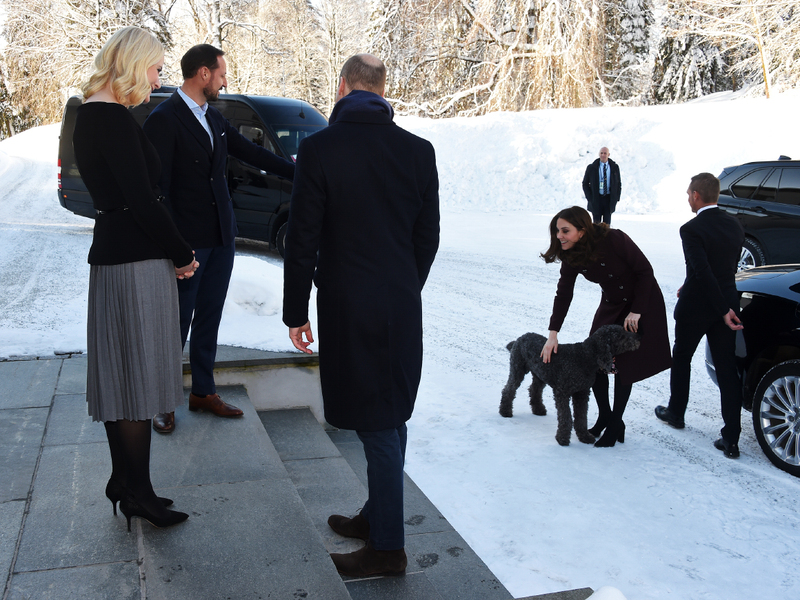 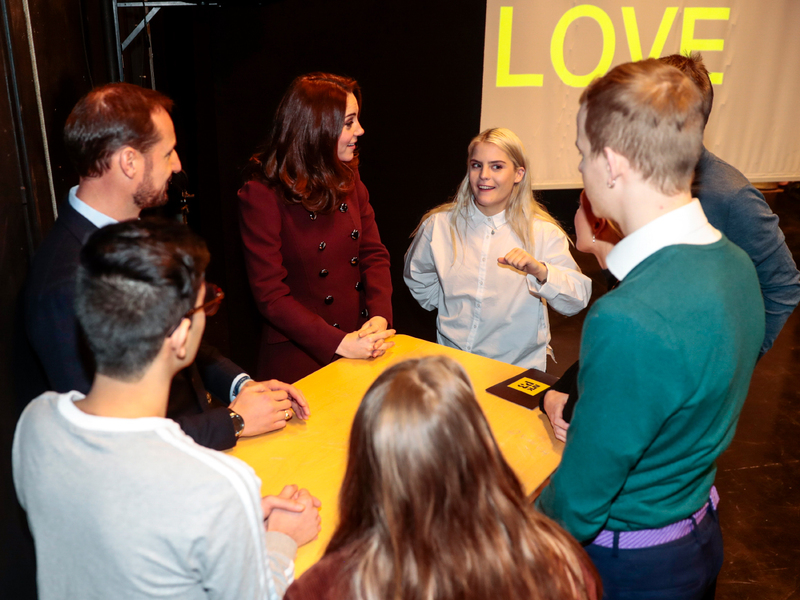 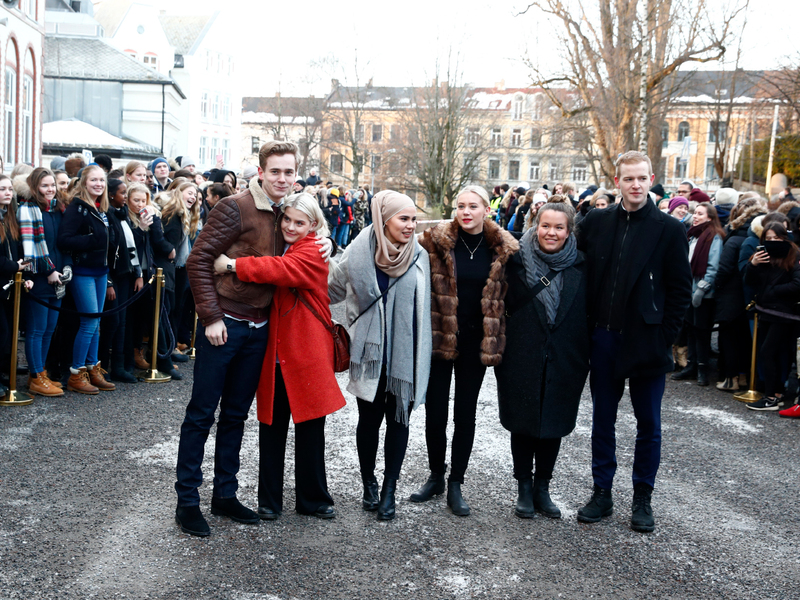 Here you can follow their visit in pictures. 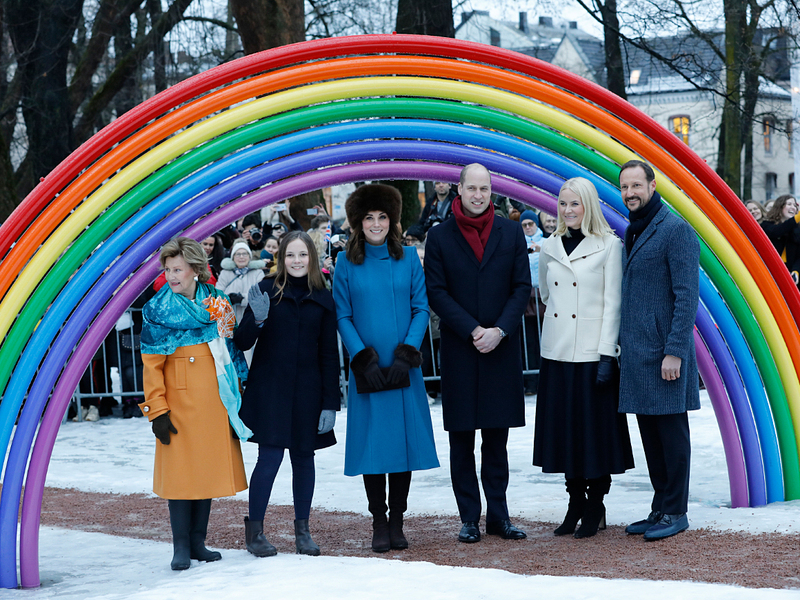 To the delight of the many photographers present, the entire party then posed for photographs in front of the sculpture of a rainbow, Roggbif. 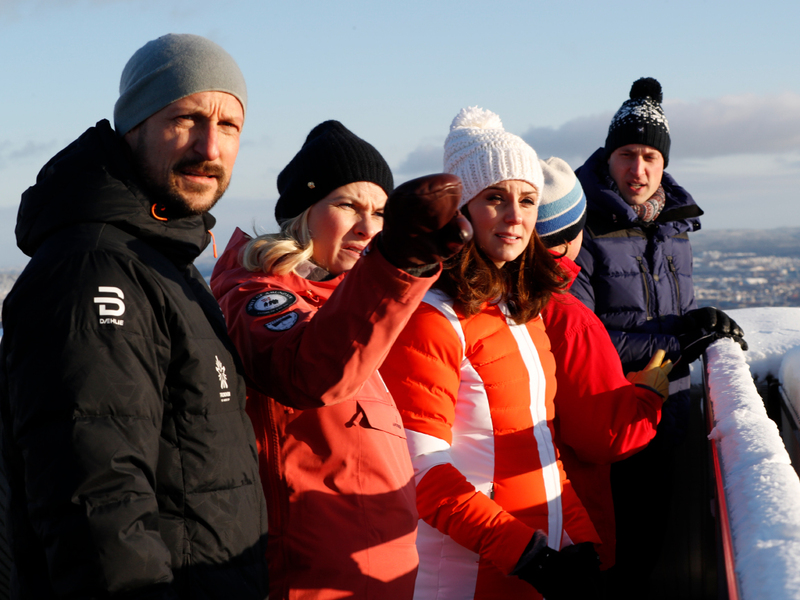 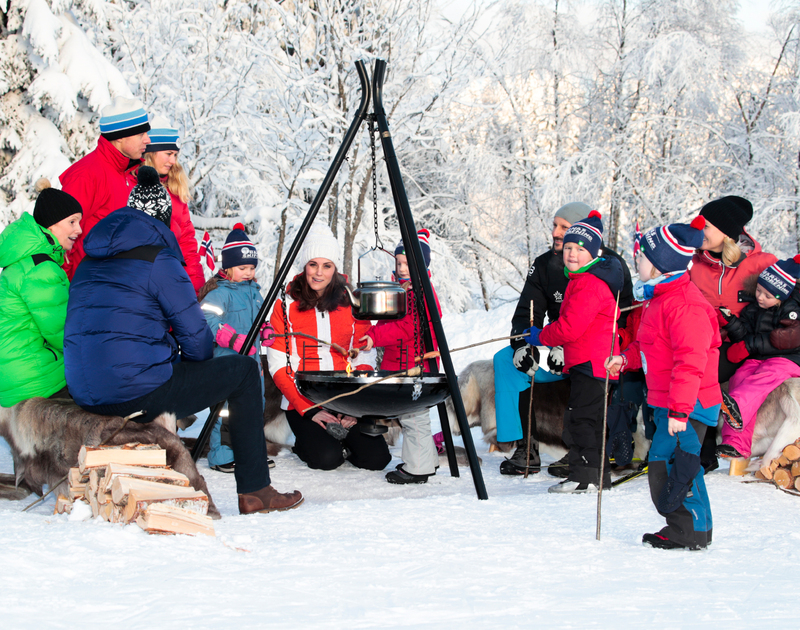 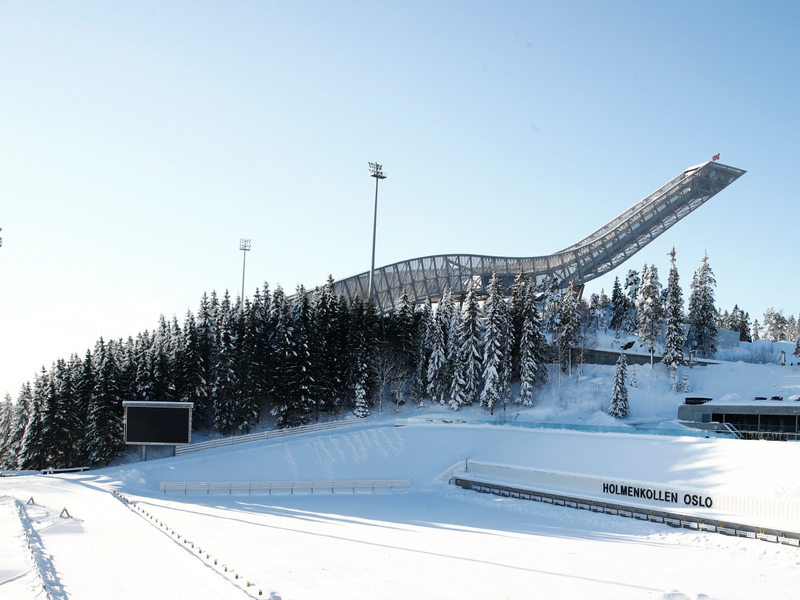 Former ski jumping World Champion Runa Velta and ski jumper Anniken Mork spoke with the British guests about what it takes to perform a long ski jump. 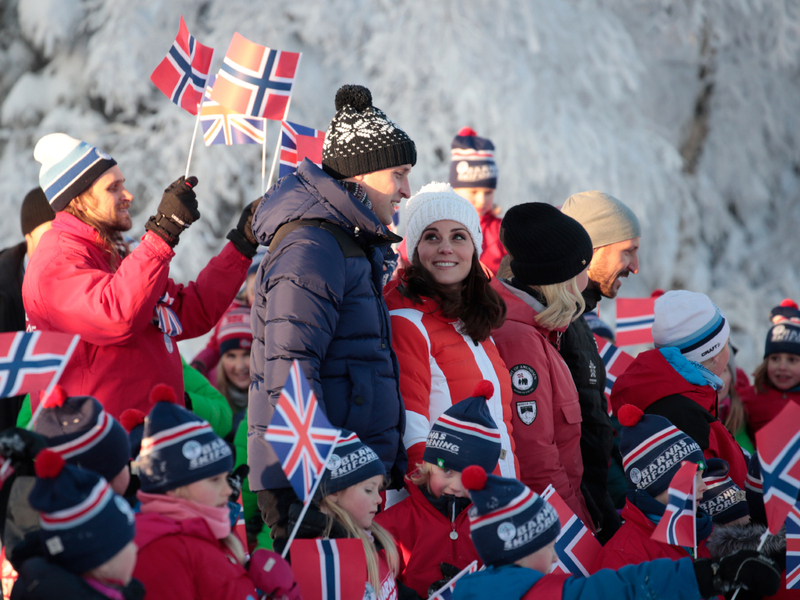 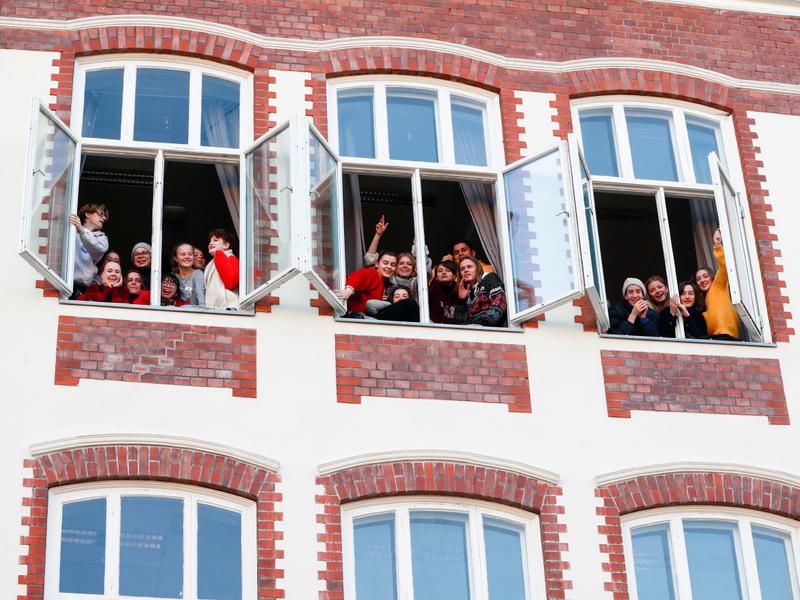 Photo: Cornelius Poppe, NTB scanpix. 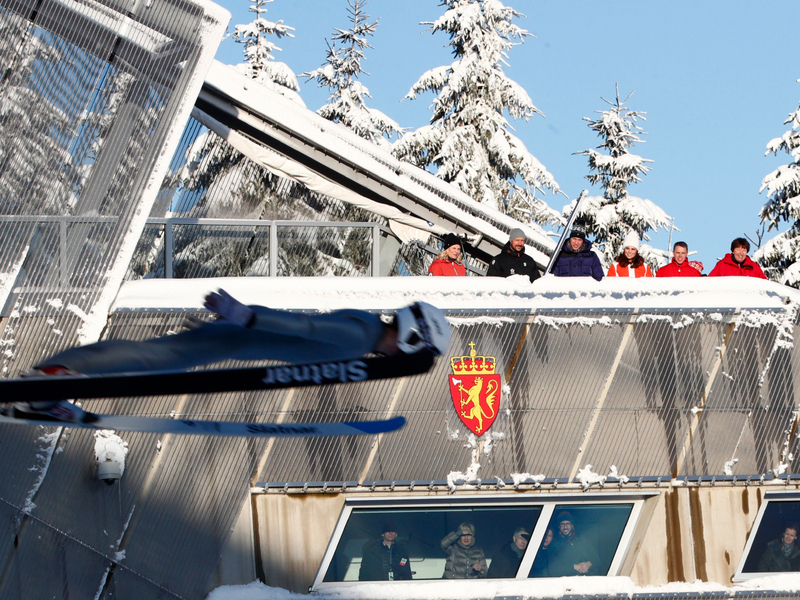 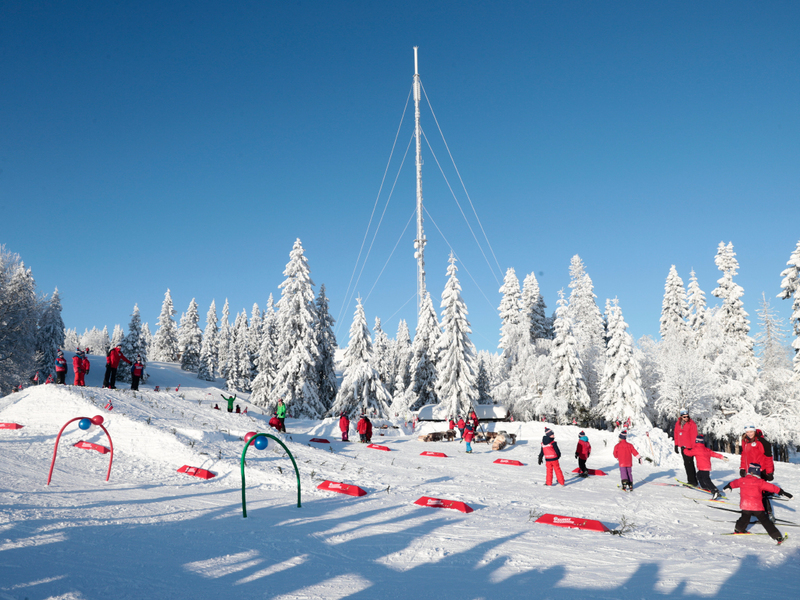 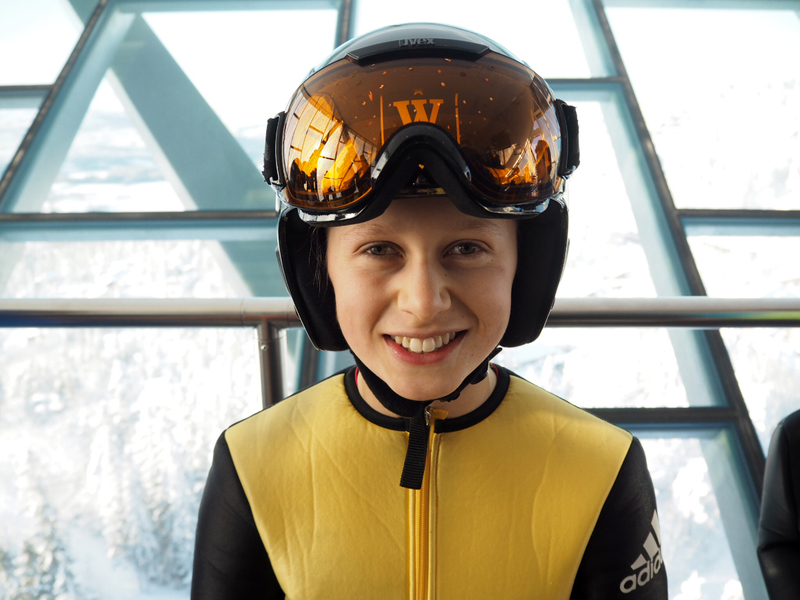 The 16-year-old Olav Dvergsdal Prestegård was among the ski jumbers in action today. 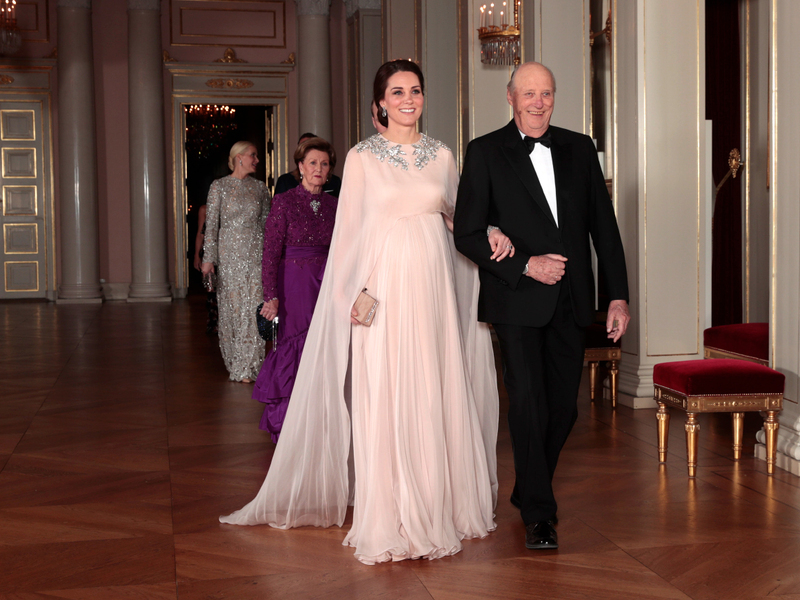 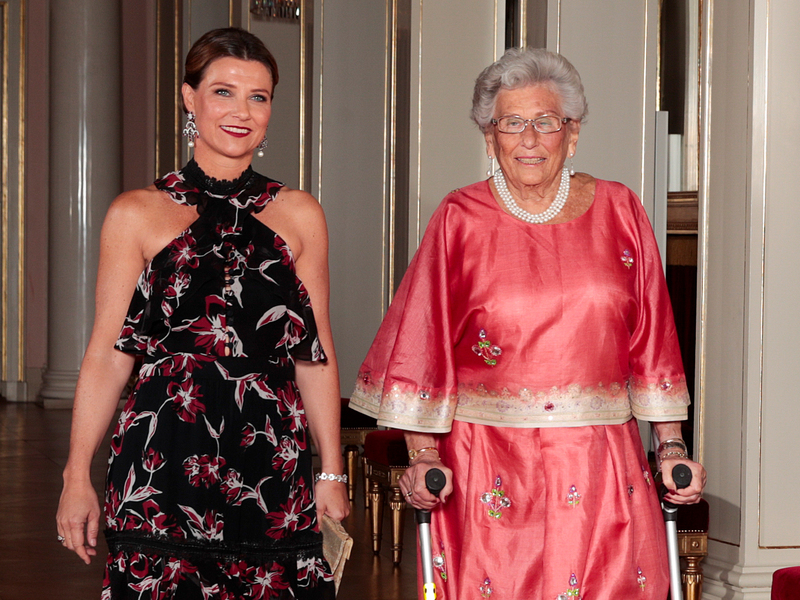 Photo: Liv Anette Luane, The Royal Court.